Not your typical dress oxford! 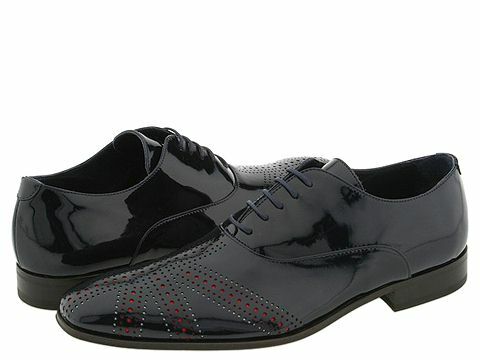 ; Patent leather with Union Jack-inspired perforations. Leather lining. Leather dress sole. Made in Italy.